Great seeing you and thank you for joining us in the celebration! We hope you all had a great time, catching up with teammates. We received nice feedback on the display of previous team uniforms and Gay Games medals, as well as on pictures and videos. 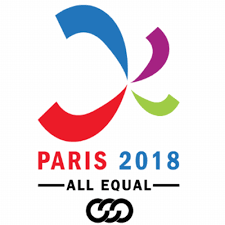 By promoting and participating in track and field events internationally and locally, the Club has represented and contributed to the development of LGBT community, as the Proclamation from the Mayor’s Office commended. Pictures from the party are available in our Picasa album. Many thanks go to our President Craig Wingate to have organized the party, Bob Callori and Chris Goodwin for opening up their home for the event, and corporate donors for providing door prizes and beverages (Road Runner Sports, Club One, Matagrano/Stella Artois, and Southern Wine and Spirits). Here’s to another 30 years of running (jumping and throwing, too)! 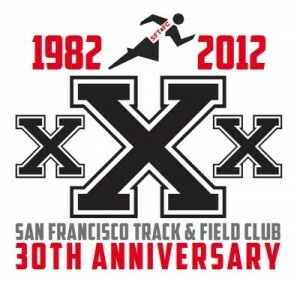 © 2019 San Francisco Track and Field Club. All rights reserved.